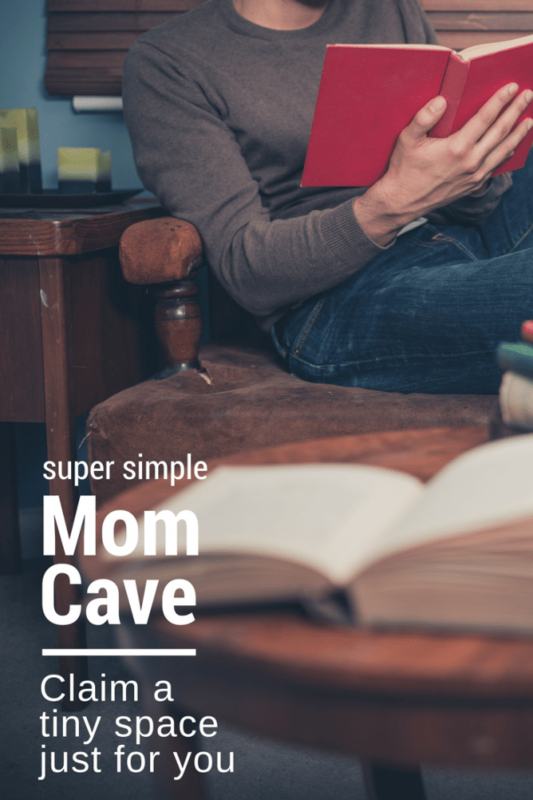 At a glance: Simple tips for how to make a Mom cave and make finding time for yourself a little easier. There’s nothing more beautiful and fulfilling than being a parent. But we all need some alone time to spend just with ourselves, and I’m no different. Actually, I believe that I need to take the time to relax and unwind in order to be the best mom that I can be. Even though you want to do everything for your little prince and princess, you simply cannot neglect your own peace and interests. Completely ignoring your needs will definitely reflect on your behavior, even if you’re not aware of it, and your kids will be able to sense that. This is why I’m here to tell you that it’s perfectly fine to have some space for yourself. Creating a space just for you can be very simple. Once you have this space you will find it even easier to get that mom time that is so very important. Choose the best place for your mom cave. If you’re lucky enough to have an attic or any other room in your home that can be freely turned into your own little world, that’s great, and you should definitely go for it. However, in my case, I had to work with fully utilized rooms. That’s why I decided to go for a small area in the master bedroom. There’s this corner in our bedroom next to the bed that we didn’t really have any plans for. There’s about 5 feet gap between the nightstand and the wall where we used to have a tall plant pot. This is the spot I chose for my cave. You can do the same with your own home. Simply look around your rooms and see whether there’s any space that can be utilized for your own personal needs. Even if you can’t see one immediately, consider the possibility of rearranging the furniture. Separate it from the rest. You have many options when it comes to properly closing off this space. And, in the end, you don’t even have to use any physical barrier. A great way to separate your mom cave is to hang curtains or use screen panels. You can divide the space with furniture as well. Depending on the space that you have available, you can use shelves or sofas to close this area off. I personally used a vintage-looking dressing screen panel that I found at the flea market, but there are numerous ideas that can help you create your own room divider as well. In the end, if you don’t have any extra room for the divider, you can simply paint the walls of your personal space in a different color or use self-adhesive wallpaper. Make this space cozy and comfy. Before you start adding personal details, you need to make sure that the space you’re creating for yourself is comfortable enough. After all, this is where you want to relax and rest properly. Since I love reading and it calms me down considerably, I wanted to create a mom cave that’s basically a reading nook. It’s very important that you consider your own interests and hobbies, and create your own mom cave in regards to that. For a reading nook, I obviously needed a comfy chair. If you too want to read and relax, definitely invest in a chair that offers great back and neck support. Also, I played with light placement a bit. It’s very important that you adjust the lighting the way you find it comfortable to avoid the eye strain. In the end, I added a soft rug to make this area warmer and cozier since we only have hardwood in our bedroom. You may want to look into good quality round rugs since the shape itself adds to coziness and comfort. Make it your own. Since I wanted a mom cave that’s essentially a reading nook, I obviously had to have some shelves. In order to save space, I installed floating shelves to store my favorite books. Also, I added some figurines, photos, and small plants to make this space more personal. I didn’t want to repaint or use a wallpaper, but I printed the vintage photos that I could find online and hung them on the wall. I also installed one smaller corner floating shelf to act as a table surface since I didn’t need too much space in that regard. And with that, my mom cave was completed! I have to say that I enjoy the space I have just for myself to the fullest. I explained to my kids that it’s “mommy time” whenever I sit and relax there, and they understand it as my own playtime. Surprisingly, they respect my need to be on my own relatively well – as long as they are having a good sibling day and they have something interesting to do. 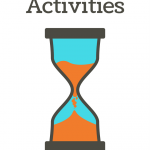 That being said, my final advice to all the moms out there who want some peace and quiet in their little personal corner is to take the time to actually find interesting games and activities for their kids that would really get them engaged and help you enjoy your interests even for a half an hour. Share your tips on how to make a mom cave in the comments! 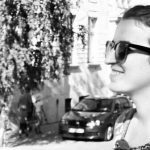 Emma B. Joyce is blogger based in Australia. She is a true home decor and DIY fanatic. Emma is interested in music and also is a big reading enthusiast. Finding new designs and patterns is her daily task. She got hooked on home accessories and decorations during her traveling and now cannot stop searching for new inspiration. Find her on Facebook and Twitter.